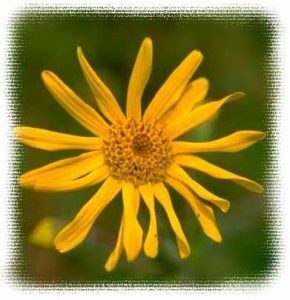 Arnica Montana | Natural Medicine for buising. Homeopathic medicines are made from plants, minerals, chemicals, animal material, or even from scheduled prescription medicines. Herbal remedies form part of Homeopathic medicines, but our medicines are not only confined to those of Herbal remedies which includes all forms of natural medicine, as indicated above. These substances are prepared according to the process described in the Homeopathic pharmacopoeia (the official manufacturing manual). Most Homeopathic medicines are registered with the Medicines Control Council of South Africa. The key to successful Homeopathic treatment is identifying the similarity between the effects of the original substance in healthy people and the pattern of illness in the individual who is sick. It is this similarity that is essential. The Homeopathic method involves an exceptionally complete and detailed clinical picture of the patient, the illness and its evolution, combined with the correct choice of similar remedy. Homeopathic medicines are prescribed in the form of tablets, capsules, pillules, granules, powders, liquid drops, eye, nose and ear drops, ointments, gels, creams, injectable or drinkable ampoules and sprays. Are there any side effects in Homeopathy? Like any other medicine, using Homeopathic medicine safely and effectively, requires the guidance of a trained registered professional even though it is a natural medicine. Since Homeopathic medicine acts as a catalyst to stimulate the body’s ability to heal itself, different reactions can occur depending on the sensitivity of the person, the nature of the disease and the potency (strength) of the medicine. Homeopathic medications may cause an initial accentuation of the symptoms before improvement. These reactions are generally mild and transient. They vary from person to person and as such, should be managed under the guidance of a registered Homeopathic practitioner. The side effects generally encoutered from long term (or even some short term) drug thereapy in conventional medicine are not experienced using Homeopathic medicine. Homeopathic medicines should preferably not be taken immediately after substance that could interfere with absorption such as food, tobacco, strong tasting substances like coffee, toothpaste or mouthwash, menthol or peppermint etc., or otherwise directed by a registered Homeopathic practitioner. Homeopathic medicines should ideally be stored in a cool dry place, away from extreme heat, direct sunlight, electrical radiation devices (like televisions or microwaves), cellphones, magnets and strong smelling substances such as strong perfumes, mentholated liniments and camphor. Can Homeopathic medicine be taken with Conventional medicine? Despite the differences in approach, Homeopathic treatment and conventional treatment can work very well alongside each other and Homeopathic medicines may be taken in conjunction with conventional drugs; however, it is recommended that the advice of a registered Homeopath be sought regarding this matter. How does Homeopathy differ from Conventional / Allopathic medicine? The term ‘allopathic’ refers to the conventional medical practice of medicine. Allopathic medicine uses active chemically isolated substances, aimed at either suppressing specific biochemical functions in the body or killing specifically targeted organisms, such as bacteria, viruses or other pathogens. Grave side-effects are often caused by this approach because such substances affect more than just the biochemical process, organisms or pathogens targeted, leading to possible destruction of biochemical processes, important defence mechanisms and organisms. 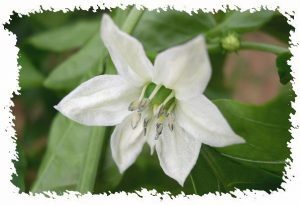 Capsicum Annuum – Cayenne Pepper effective in various inflammatory conditions. Homeopathic treatment stimulates specific defence and repair mechanisms of the body needed to ward-off and heal the condition under treatment. In this case, the medicine does not fight the disease, but the body itself is stimulated to combat the condition. Homeopathy, being a holistic medicine, takes into account every aspect of the patient’s life, diet, nutrition, causative factors, environment and being, thereby contributing to better success and health maintenance by supporting the action of the medicine. Unlike allopathic medicine, Homeopathic Medicine individualises every prescription to the needs of each patient and does not just give a ‘blanket medicine’ for a diagnosis. This makes it a powerful therapeutic system that employs the body’s own healing potential to the benefit of the patient’s over-all health and ability to maintain good health. Homeopathy as a form of alternative medicine is able to be effectively used completely on its own, or in conjunction with Conventional Medical treatment without concern for drug interactions if prescribed by a qualified Homeopath.